Hello and welcome to the Fasusq home on the web. My name is Amanda Dunne. I live in sunny QLD in a town called "Westbrook" which is about 15 minutes from Toowoomba (less than 2 hours away from Brisbane). Toowoomba is well known for its "Carnival of Flowers" events in September - of which I always miss the event as its on the same day as the Cavalier Club open show every year! 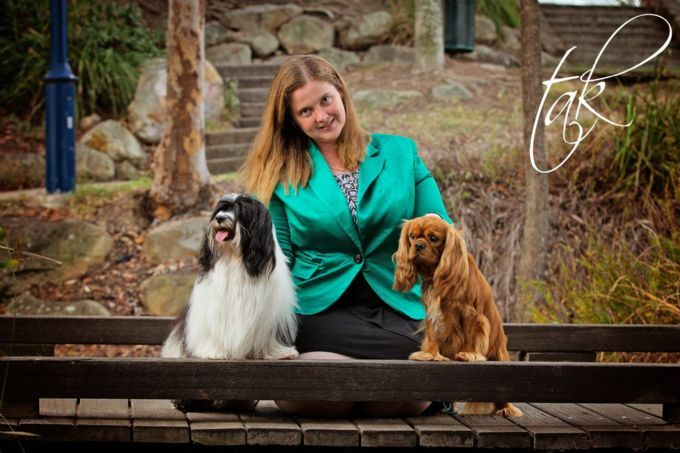 Althought the name "Fasusq" was only established in 2007, I have been actively involved with dogs my entire life as my mother bred and showed English Setters and English Springers when I was a child and to this day has Cavaliers. In preperation for when I would want my own dog to show (at the time, it was 10 years of age in QLD to start showing) my mother thought it would be better to get a smaller dog that would be easier for me to show (this was in 1997). Co-incidentally a client of hers from work had a litter of puppies and wanted to know her opinion of them. The puppies were GORGEOUS!! A week or 2 later we had a Cavalier puppy whom we named Meg (Springset Spice Girl) and we have been hooked ever since.